Lehigh Valley Snow Day Photo Contest! Who said being snowed in was a bad thing? Not only can you get some great pictures from just outside your window, but we&apos;re going to give you the chance to win a great prize in the process. Our Lehigh Valley Snow Day Contest is simple: We want you to post your best photo from this weekend on our Facebook page. The photo with the most votes will win a Discover Lehigh Valley Prize Pack. 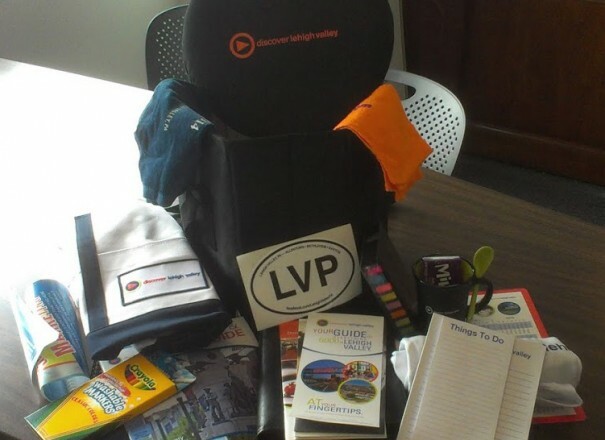 The pack includes: A Discover Lehigh Valley Cooler, notebook, 2013 Official Visitor Guide, Just Born candy, two T-shirts, organizer, two hand towels, a calendar, Crayola markers, a tote bag, a coffee mug, stickers, brochures and more! 1. Take a picture and post it on our Facebook wall. Please make sure that you have the photo set to "public" so that we can see it. 4. The contest begins at noon on Friday, February 8 and ends on Monday, February 11 at noon. 5. Pictures must meet Facebook policy guidelines and be associated with the snowfall in some fashion. It&apos;s that simple, you can even take them from the comfort of your living room through your window! We can&apos;t wait to see what everyone comes up with. If you need some inspiration, check out this Morning Call photo gallery of past Lehigh Valley blizzards.